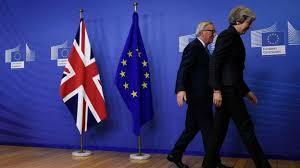 The People of The United Kingdom have democratically mandated, by referendum, to leave the European Union. That’s how democracy works! That’s an immutable fact of life – there’s winners and losers! Thus the will of the majority must be respected. It’s irrelevant, whether other regions in the UK voted overwhelmingly to stay in Europe. That’s not the point. 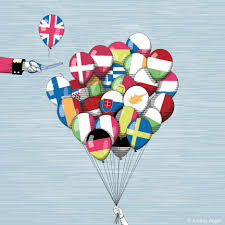 The present reality is: The United Kingdom constitutes: England, Scotland, Wales and Northern Ireland. Why then are certain politicians, the legacy media and the bloody “Remoaners” being disingenuous and actually citing this as the grounds for a second referendum – or people’s vote as the euphemistically refer to it? What part of “Leave” is causing such a comprehension problem? Here’s a reality check for the second time: Presently, The United Kingdom constitutes: England, Scotland, Wales and Northern Ireland. We cannot change this, however much some people would desire to! National sovereignty should never be compromised for the sake of economic and political expediency. I’m of the opinion that the British people have made the correct decision in leaving this undemocratic institution called the European Union. Here’s how things work in Brussels. Firstly, it’s crucial to note that real power resides within the unelected European Commission, which is headed by Jean-Claude Juncker, a gentleman of whom I have the utmost respect for. I’ll get back to Claude later in the blog. Anyway, to get back on track here’s something crazy that often happens in Brussels. For instance, if the European Commission are unhappy with a referendum result unfavorable to them – they simply rerun the referendum until they get the desired result. Many in Ireland are all to familiar with the Lisbon Treaty debacle. 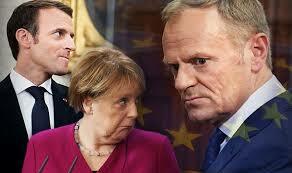 The EU is all about centralized power in one place and national sovereignty must be suppressed because it poses a danger to a future EU superstate. It’s very reminiscent of how they did things in the former USSR. Is Brussels 2019, now the de facto new “Soviet Moscow”? Thus to recap and underscore some salient points: Real power resides within the European Commission. The European Parliament is simply about optics, i.e. to give a veneer of democracy and credibility among the populace. 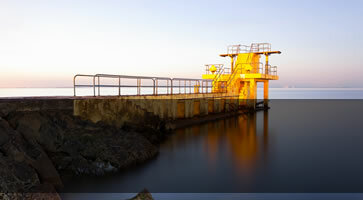 It has just a consultancy role – basically it rubber stamps the decisions. It’s a titular parliament and merely a window display for the European Commission. 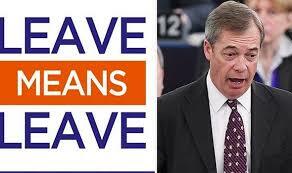 Some Members of the European Parliament find this undemocratic facade abhorrent. The rest are just happy to take the generous salaries and expenses – wash, rinse and repeat. So on and so forth ad nauseam – the party goes on unimpeded. Most MEPs will not even countenance debating this absurdity for fear it might derail the gravy train, let alone being honest about the merits of Brexit. It seems love of money, power and prestige are the main reasons our politicians want to keep us in Europe. Brexit to them, represents the beginning of the end and the permanent tumbling of the bountiful EU trough they happily guzzle from. The latest rantings from Donald Tusk underscores this sinking ship desperation & mentality. The vested interests are doing their damnedest to stifle the painful separation process and save their bacon. (no pun intended). Isn’t that right, Mrs “Foot Dragging” May and the rest of you spineless equivocating Tory Cabinet Members. Why is Brexit so controversial and divisive? 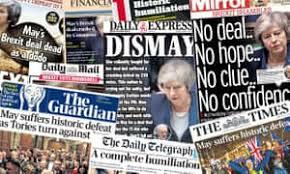 Notwithstanding the fact Theresa May is deliberately dragging her feet on this issue, it should be relatively easy for the UK to just leave the EU. After all, it’s what the UK people voted for, right? 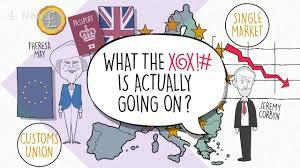 Additionally, Article 50 of the Lisbon Treaty guarantees unfettered exit for any country wanting to leave the European Union. But it ain’t that simple folks, because the EU/UK relationship is toxic. The main source of this toxicity is emanating from Europe. It’s the dominant abusive partner who simply won’t let go. The European Union will not accept the relationship is over and is willing to do anything to keep the UK tied to its toxicity. For instance, The European Commission has now revoked the right of UK citizens to have EU domain names. That’s beyond passive aggressive, it’s downright nasty to hit their IT Sector in such a sly and mean-spirited manner. 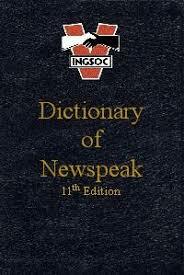 Mainstreams media’s new playbook / MSM Manual? It seems the legacy media are the new EU cheer leaders and are propelling and ratcheting up“Operation Fear” across the continent. It’s akin to Orwell’s “Newspeak” and there’s a perpetual echo chamber of: “Brexit Bad and EU Good“. What ever happened to journalistic integrity, impartiality and honesty? It seems these essential journalistic attributes have vanished in the haze. In today’s world, if your opinion happens to deviates from the official narrative – that’s construed as “Wrong Think”! Nobody does “Project Fear” better than Denis O’Brien’s Irish Independent. These two are just simply flirting around the Brexit issue. Long may it last! 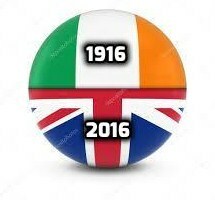 In Ireland’s history, 1916 was a significant date. Now in UK history, 2016 is now very significant too. Both dates represent freedom from a foreign entities, which had neither country’s best interest at heart. Though very tempting, one should never walk away from life’s problems – no matter how insurmountable they may appear! I’ve come to the conclusion that Brexit per se isn’t the problem. It’s the European Union’s intransigent attitude towards it and the fact they care little for the democratic decision of the UK populace. Therein lies the problem that must be addressed. 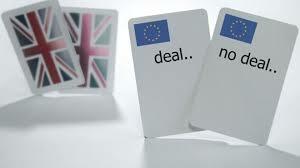 They are the ones orchestrating operation fear from the highest level – stirring people up into a frenzy of fear and foreboding by presenting Brexit worst case scenarios as actual facts. 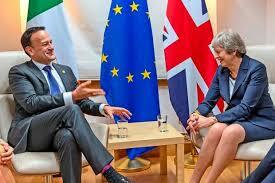 Ever since the British people voted leave in 2016, the reaction, especially in Ireland, has been characterized by denial, anger, bargaining and a widespread national depression. What’s missing from this list? Acceptance! Yes, acceptance of the fact that Britain is actually leaving the European Union. Only then, can Ireland and Europe move on, and stop scapegoating Brexit for the mess The EU has made of our once great continent. Cometh The Hour! Is This The Man? Leadership is needed more than ever in post-Brexit Europe. Cometh the hour, cometh the man. 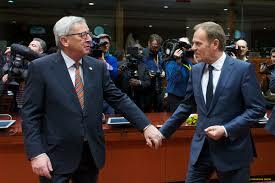 I want Jean-Claude Juncker to be that man who will rise to the occasion and restore sanity to Brussels. 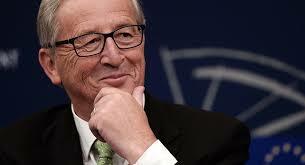 But what can one man do, least of all, Claude Juncker? A man totally reviled by most Brexiteers and an anathema to national sovereignty. How is Juncker the solution – isn’t he part of the problem, how on earth can he resolve this seemingly intractable mess. It’s quite simple really – it fundamentally comes down to respect and acceptance. 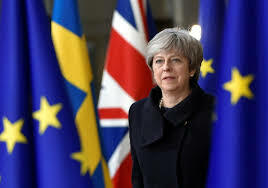 Respect the democratic wish of the British people; let them leave an institution that doesn’t represent their best financial and long-term national interests. Juncker at heart, knows this, he is a democrat and is fully aware that the thwarting of Brexit is driven by a political agenda not in the interest of the British people, but in Brussels’ interest! 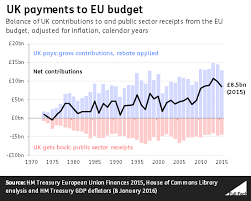 Presently, the United Kingdom is a net contributor to the European Union. This means the opportunity cost to the British tax payer is well over £10 billion per annum. Now the time has come for Mr Juncker to follow his conscience; have the courage of his conviction to deliver the bipartite solution of respecting and accepting the wishes of UK electorate. If not, how can you ever call yourself a true democrat? Isn’t centralized authoritarianism morally reprehensible and an affront to everything you profess to care about? Leadership requires courage and making unpopular difficult decisions. Claude, the hour has come – and you are the only man with the gravitas to smash this institutional intransigence that bedevils EU negotiations and is the crux of this current Brexit debacle. Weakness and vacillation must be thrown out the window and replaced with decisiveness and courage. Claude,I must admit, you have a difficult road ahead – because you battle cunning, baffling and powerful forces in your Commission, that serve not you nor Europe – but themselves. Beware the Ides of March, Claude – for you may upset the status quo and their vested interests. But only you can fix your broken house, “Caesar“! I’m confident you’ll prevail and be the final arbiter in implementing the bipartide solution of respecting and accepting the democratic mandate of a sovereign nation. After all, deep down you must surely believe: No man has the right to stifle a nation’s right to full self-determination! A judicious “Caesar” keeps “Brutus” at arm’s length. 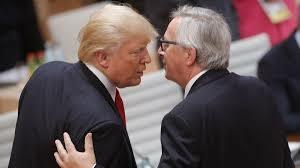 Finally, Mr Juncker this blog wasn’t an attempt to bury you, nor was my intention to praise you, but a cri de couer by someone who has lived with the consequences of the failed policies of the EU in its present incarnation. I just want you to level with me and be honest. You’re in the unique position of being simultaneously part of the problem and the solution. The United Kingdom is simply exercising its right to leave the European Union – as codified in Article 50 of the Lisbon Treaty. Your prevaricating, your equivocating and delaying tactics clearly puts you in the wrong here. You must acknowledge your part in this current Brexit problem. If you don’t, things won’t change – and the Brexit debacle will continue ad nauseam. What gives you the right to deny the democratic mandate of 17.4 million people? In short, Europe’s future destination is in your hands – the book stops with you! Finally, Mr Juncker, I implore you to accept and respect the UK’s decision to exit a failed experiment. This is the first step towards a more enlightened approach to EU policies and directives of the future. Claude, now is the time for leadership and accepting this fact, as with alcohol and other substances: we are totally powerless over Brexit – and our once great continent has become unmanageable! Acceptance of these self-evident truths are the first steps on the road to meaningful recovery.